Drive up Montauk Highway 17 and you’ll end up in the idyllic Hamptons. Long renowned as a playground for the rich, The Hamptons is a string of scenic seaside villages on Long Island. The beaches are divine and the seafood restaurants to die for. It’s only an hour’s drive from NYC, but once you arrive, you will feel as if you have entered another universe. Visit the Hamptons for a luxury weekend or spend a week here, exploring the area’s cultural past and chilling on the beach. There are some amazingly luxurious Hamptons rentals if you feel like living the high life. Even in winter, the area has much to offer, so sit back and read on to find out more about some of the best things to see and do in The Hamptons this year. The beautiful beaches are the main attraction for many visitors to The Hamptons. Wealthy Manhattan residents regularly make the pilgrimage to their Long Island homes, eager to escape the stifling heat of the city during the long summer months. The area has long been a summer retreat for the rich and famous, with families like the Kennedy’s owning real estate in East Hampton. The seriously rich usually have private beaches, away from the paparazzi, but there are plenty of glorious public beaches to enjoy. 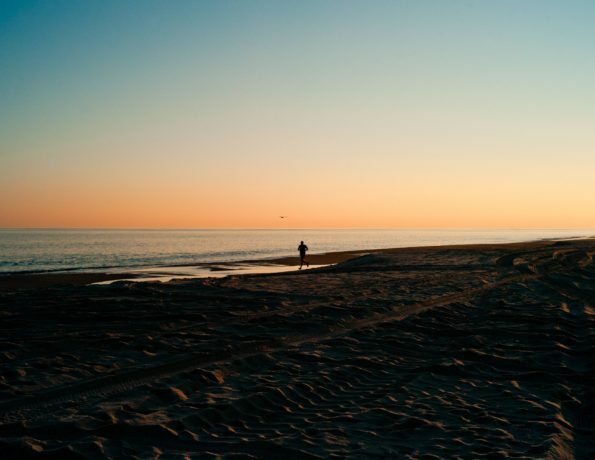 Coopers Beach is one the best-known beaches in The Hamptons. Famed for its white quartz sand and fabulous views, Coopers Beach is popular with visitors and locals alike. You’ll have to pay a parking fee if you don’t catch the train or Hampton Jitney, but that’s a small price to pay for sand heaven. The beach has lots of amenities, including showers, umbrellas and chairs for rent, and concessions. For a chill afternoon at the beach, head to Cupsogue Beach Country Park in Westhampton. This beach is more off the beaten track, so it attracts an older crowd, but it’s perfect if you want a peaceful day. You can soak up the sun, swim, or fish for saltwater bass. Parking spaces are limited, but if you come for an evening stroll, admission is free. There are beach showers and changing rooms available, plus snacks. Ditch Plains Beach in Montauk is popular with surfers. The waves are perfect for surfing and boogie boarding. You can also try paddle boarding. If you have no previous experience, book lessons from one of the surf shacks. Lifeguards are stationed on this beach, as the surf can get quite intense at times. Amenities include beach showers, a food truck, and bike rentals. The Hamptons is wine country. There are dozens of vineyards and wineries in the East End of Long Island, so not making time for at least one winery tour would be highly remiss of you. If you like a cheeky red or a chilled white, this is a great place to go taste testing. Wölffer Estate Vineyard, Sagaponack, is a short drive from the beach. The tasting room is open all year, so you have no excuse not to head on over for a sampling session. Take a guided tour of the winery and fields, followed by a lesson in pairing wines with cheese and meat. Their ‘summer in a bottle’ rose is famous. On a Thursday night, there is live music, so you can make a day of it. The Channing Daughters Winery is an artisan winery where every grape is handpicked and fermented in small batches. The orange wines are unique, but you can also try a varied selection of reds, whites, and rose wines. Martha Clara Vineyards, run by winemaker, Juan Micieli-Martinez, have a lovely Malbec/merlot red that goes with most dishes, a light bubbly brut, and a delicious port-style wine that is perfect for dessert courses. If you want to try something different, visit the Duck Walk Vineyards and try the Blueberry Port; it is delicious with dark chocolate. Jackson Pollack and Lee Krasner owned a house in East Hampton. Today, the property is a museum, where visitors can discover more about the life of these two important 20th-century artists. The museum is open from Thursday to Saturday and entrance is only $5. Take a self-guided tour of the house and studio or book a one-hour tour with a knowledgeable guide. The museum regularly hosts exhibitions. Recent exhibits have included work from Walter Plate and Joseph Glasco. Visit the LongHouse Reserve in East Hampton and spend a relaxing afternoon exploring the 16-acre garden and sculpture park. The LongHouse Reserve, which was designed by Jack Lenor Larsen, successfully blends nature with art and design. There are art exhibitions there all year round, so you can admire the gardens with their impressive array of plants and trees and soak up some art at the same time. There are more than 60 sculptures in the gardens, so take a camera and upload some shots to Instagram. Check the calendar for a list of family activities and festivals. We have already mentioned the wonderful wines, but don’t forget to try the local food, too! The Hamptons are famous for their iconic lobster rolls, served at the Lobster Roll restaurant in the East End. Pick up a buttery bun filled with fresh lobster meat and prepare to enter food heaven. Good burgers are another local delicacy. Head to Baron’s Cove in Sag Harbor and admire the view while chowing down on a delicious burger. Finish off your meal with a choc-chip cookie ice cream sandwich from Tate’s Bake Shop in Southampton or a homemade ice cream from Candy’s Kitchen in Bridgehampton. Lastly, you can’t visit The Hamptons without trying an old-fashioned donut. Grindstone in Sag Harbor is famous for its amazing donuts, including Nutella s’mores, thin mint donuts, and the Moorish mocha Frappuccino flavor donuts. Other delicacies include BBQ ribs, berry pies, and fried chicken. To explore the best of what The Hamptons has to offer, rent a bike and cycle out to the Montauk Lighthouse. It is one of the area’s most unmissable attractions. We Went To The Museum Of Ice Cream And It Was Spectacular! The Museum Of Ice Cream Has A Pool Full Of Sprinkles!